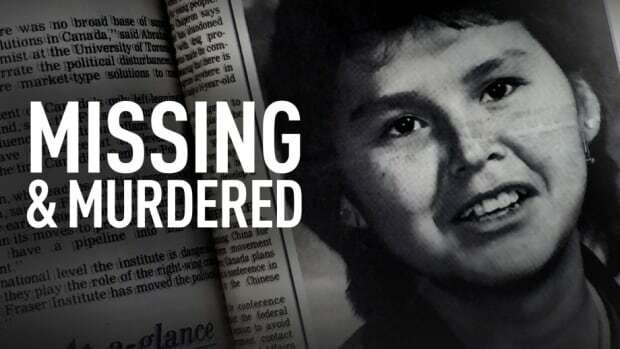 I’m listening to another CBC podcast: “Missing and Murdered: Who Killed Alberta Williams?” Reporter Connie Walker investigates the 1989 unsolved murder of a young indigenous woman. Alberta Williams was found along Highway 16 in British Columbia, now known as the Highway of Tears because of the number of women (mainly indigenous) who have been murdered or went missing along the highway. As she interviews people who knew Alberta, Connie Walker peels back the layers of a terrible past that may be unknown to many non-Canadians. From the 1880s until as late as 1996 (!!! ), the Canadian government operated “residential schools,” or boarding schools for indigenous people. Children as young as 6 were forcibly removed from their homes and taken from their families to spend years in cruel institutions where they faced sexual abuse, forced starvation, and even death. Their hair was cut, and they were not allowed to speak their ancestral languages. The legacy of residential schools continues today, passed down by grandparents and parents who were treated less than human. Alcoholism, PTSD, poverty, domestic violence, and feelings of worthlessness are remnants of the residential school system. I just finished listening to Episode 3, where Connie Walkers begins to connect the past with the present — why are indigenous women 3 to 4 times more likely to be murdered than non-Indigenous Canadian women? Unlike all the other podcasts I’ve listened to, Walkers draws from her own childhood experiences and links the culture to the crime. Walker’s approach underlines how no crime stands by itself. We are all products of our upbringing, history, and society. And it reminds me how every country has its shameful past — the U.S. being no different — that affects its citizens for generations. This is a re-post of a re-post! Looks very interesting! If you follow U.S. elections, you know that Democrat Doug Jones won the Senate seat in Alabama yesterday, largely due to the turnout of Black voters. CNN reported that 98% of Black women and more than 90% of Black men voted for Jones. Kamala Harris (right) at a rally for the Affordable Care Act, June 2017. So, why did college-educated white women (and men!) mostly vote for Republican candidate Roy Moore? Moore has been accused of sexual encounters with teenage girls and has romanticized the times before slavery was abolished. If you are a women, know a woman, or have any female members of your family, it does not make sense to support Moore. If you are in favor of Black people having equal rights, it does not make sense to support Moore. What is the explanation for his popularity among the majority of white Alabama voters? Many educated white women and men still believe it is okay for men to sexually assault girls and women. Many educated white women and men still believe it is okay to discriminate against Black people. If you are reading this and you are a white person, thinking, “But I’m not like that!” then take concrete steps to disprove the statistics. Support organizations, businesses, and political candidates who stand for values that support all people, regardless of race or gender. What a difference a few sentences can make. I just finished listening to one of Malcolm Gladwell’s podcasts for his series “Revisionist History.” In this episode, “Miss Buchanan’s Period of Adjustment,” Gladwell explores the fallout from the 1954 Supreme Court Case Brown v. Board of Education. The Supreme Court found that “separate but equal” was unhealthy for Black children, that being segregated was fundamentally “bad” for their psyche and self-esteem. But that was not what the NAACP had been fighting for. From the mouths of two Black parents who took part in the court case, Leola and Oliver Brown, they had no complaints with their daughter’s school (Monroe School, shown below). They loved the teachers, thought the education was “fantastic.” They just wanted all Black parents to have a choice of where to send their children to school. So what does the US Supreme Court do in 1954 in the Brown decision? It buys into the southern way of thinking about race. Leola Brown and the other plaintiffs say, “We have a structural problem. We don’t have the power to send Linda to the school down the street.” The court says, “No, no, no, it’s a psychological problem. Little Linda has been damaged in her heart.” That may seem like a small distinction, believe me it’s not. We’re still dealing with the consequences. Those few sentences by the Supreme Court made a huge difference to children across the segregated South. What do you think happens when Black schools and Black teachers are ruled to be inferior? What happens to teachers and students deemed “deficient”? The fallout is huge. Listen to Gladwell’s podcast, or you can find a transcript of it here.